HexaCorp provides a wide range of services for AX implementations. The comprehensive Microsoft partner support framework provides HexaCorp with an invaluable source of up-to-date information and technical support. The goal of our AX practice is to provide the best AX professional services in the industry. High usability throughout the solution lifecycle from end user, consultant, developer and administrator perspectives. Tight integration with Microsoft Office and other Microsoft Desktop applications to provide a comprehensive environment for information workers. Easy customization based on a state-of-the-art development environment and layered platform. Highly scalable via a 3-tier architecture. Integration with other systems, e.g., AX. 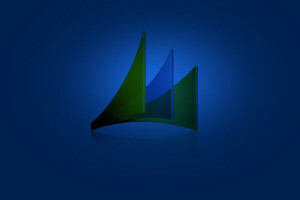 Designed for midsize companies and larger enterprises, Microsoft Dynamics AX (formerly Microsoft Axapta) is built to make business easy across geographies, by consolidating and standardizing processes, improving productivity, providing visibility and simplifying compliance. HexaCorp uses Microsoft Dynamic’s core functionalities for retail, manufacturing and services industries and its rich development platform, to implement ERP so that it addresses the demands of the business. We have conducted several end to end implementations, integration projects in various business domains. With over a decade of experience in the implementation of various turnkey projects, our experts have tried and tested project models to ensure quick and cost-efficient solutions. Our wide range of industry expertise makes it possible to carry out the kind of industry-specific expansions in the ERP system that support the customer's business needs. Develop Ecommerce application with MS Dynamics.